If you’re crowd-funding a popular product on Kickstarter, there’s a good chance that Chinese pirates have already stolen your idea. As detailed in a recent Quartz article on intellectual property (IP) theft, China’s manufacturing prowess and shanzhai (copying) culture have created an environment where local entrepreneurs can quickly seize upon new product ideas to engineer low-cost knock-offs for sale in China and worldwide. This problem is particular acute for crowdfunding sites like Kickstarter where product concepts are routinely introduced before the actual product is ready for market. In this post, we will first provide an overview of the typical situation facing foreign brand owners in China – focusing in part on companies that have no plans to sell their goods in China. We will then offer best practices for protecting against Chinese pirates. Our comments arise from our experience directly engaging with this problem on a daily basis and from the recent uptick in our representation of Kickstarter-backed companies facing these issues. Imagine one day you’ve come up with the ultimate consumer gadget. Needing to bootstrap your product into development, you arrange a Kickstarter campaign to secure initial funding. The campaign is a success and you rocket to the top of the Kickstarter popularity list. But as you do, the attention you’ve attracted has already started to work against you. The Israeli entrepreneur had spent one year designing the product that would make him rich—a smartphone case that unfolds into a selfie stick…. Yekutiel is not the only entrepreneur to run into this problem. Unfortunately, it’s only the tip of the iceberg. Typically, the activity we see from pirates encompasses a range of IP violations, from the simple production and sale of knock-off products to full-on identity theft, where a Chinese company seeks to replicate the foreign company’s trademarks, visual distinctiveness and products within the Chinese market. In the United States, use of a trademark on Kickstarter (e.g., “Stikbox”) will likely be sufficient to establish common-law rights in the U.S., even if the mark has not been officially registered with the US Patent and Trademark Office. But in China, a civil law country, trademark protection will only exist if the mark has been registered with the PRC Trademark Office (limited exceptions aside). The problem for foreign brand owners is that mainland China has a “first-to-file” jurisdiction. This means that Chinese pirates may register a trademark (e.g., “Stikbox”) as long as the foreign company has not applied for protection before the pirate. Because most companies on Kickstarter are not looking to sell in China at the early stages, this often means that the brands of popular products advertised on Kickstarter will be applied for and registered by Chinese pirates well before the true brand owners. And once registered, these pirates will be permitted to sell relevant goods under the exact mark in mainland China – while the foreign brand owner’s use of the mark on such goods would actually make it the infringer! In this situation, the foreign brand owner may try to rely on certain provisions of the PRC Trademark Law to object to the trademark application or registration. But these provisions generally require the foreign brand owner to show prior use and reputation in mainland China — evidence that is often nearly impossible for new companies behind a Kickstarter campaign to provide. Having one of the most sophisticated manufacturing bases in the world permits Chinese pirates to quickly rush out knock-offs as soon as new products appear on the market. For Kickstarter, this risk is amplified by the fact that what is often advertised are product concepts that still require some amount of R&D prior to wide-scale production. (Ironically, many of these product manufacturers will look to China for such development.) This means that Chinese pirates may actually execute the concept product earlier than before the Kickstarter company and beat the original product to market. This risk is magnified by China’s highly-developed online marketplace, where sites like Taobao.com and WeChat are well known by Chinese consumers looking for low-cost goods. They provide preferred sales channels for Chinese pirates to market their wares to domestic consumers. But the problem does not stop in China. Increasingly, American and European consumers are learning that low-cost goods can be purchased from China’s export-focused international sales sites. For such companies, these sites mean that China-origin pirated goods now have a global audience. Fortunately, both domestic and international-facing Chinese e-commerce sites have developed fairly-efficient online takedown mechanisms, which are available to foreign companies (provided they can show the required IP rights). For domestic Chinese e-commerce sites like Taobao, Tmall, or 1688.com, online takedowns can be carried out by relying on PRC patent and trademark registrations. For China’s international sales sites, such as Aliexpress.com and Alibaba.com, copies of the companies’ overseas registration certificates can be relied upon for takedown applications. Pro Tip: The fastest way to ensure enforcement on China’s international sales sites is to register your trademark in the Benelux Economic Union. This jurisdiction will provide official certificates to registrants far quicker than other jurisdictions – usually within a few weeks. While most people have no doubt heard of fake Apple or IKEA stores in China, less frequently discussed are the many instances in which a Chinese pirate will create a local copy of a smaller foreign brand. Typically this is done by registering for that company’s related trademarks and domains (e.g., CompanyChina.com or Company.cn), and then creating a mirrored version of the company’s official website on these pirate domains. The result is a webpage and online presence that appears genuine to all but the savviest consumers but is, in reality, trafficking in knock-off products that raise serious reputational and product liability concerns. At a minimum, any company thinking of advertising with Kickstarter, or in fact any startup brand with potential, should work with competent IP counsel in its home jurisdiction to secure all necessary trademark and patent rights relating to its product and design. If a company plans to advertise its product on Kickstarter, the timing of such protection is important. In a perfect world, all companies would secure the necessary IP protections prior to promoting their products and alerting the world to the existence of their innovative ideas. But initial cost concerns can often make this untenable. Where that is the case, companies should protect such rights at the earliest possible opportunity, for instance when the related Kickstarter shows sufficient support to indicate the product will move forward, and there is a receptive consumer market. The problem is that once a Kickstarter campaign show signs of success, Chinese pirates will likely get wind of the idea and start to pounce. Consider applying for additional protection in China concurrent with when IP rights in the company’s home jurisdiction are secured, or even earlier, where feasible. This will mean an increase in legal costs upfront, but this is a situation where an ounce of prevention is worth a pound (and in some cases a ton) of cure. 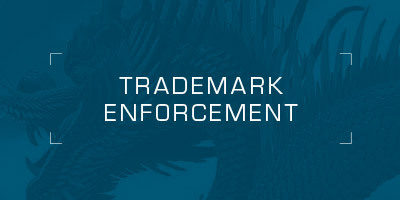 For example, an application for a trademark in one class can be made for under US$800, while opposition and cancellation actions against a pirate mark typically each cost several times that. An early application for any patent rights relevant to the product can be particularly important to ensure any online posting doesn’t destroy “novelty”—and thus the right to file patent applications for the product in China, the country where most knock-offs will likely be manufactured. Unlike in the US and other countries, China’s patent laws do not provide any grace periods to file patent applications after a product’s public disclosure. Brand owners should therefore consider filing patent applications in at least one jurisdiction before disclosing their product online. So long as the country in which the initial applications have been filed is a signatory to the Paris Convention for the Protection of Industrial Property (most industrialized nations are), then a “Convention Priority Application” for the patent can be filed in China within six months of that initial filing. Once IP rights have been secured, companies should consider periodic online monitoring of popular e-commerce sites and social networking platforms, including Tencent’s ubiquitous WeChat app. If the problem is light, online takedowns can be pursued against pirate sellers based on the IP rights mentioned above. But if the problem is more severe, further investigation may be necessary to locate and pursue source manufacturers, perhaps with additional civil or criminal action. In extreme cases, consideration may need to be given to engaging a global online policing consultant, such as MarkMonitor, NetNames or YellowIP. The name of the game here is vigilance. For most popular consumer products advertised on Kickstarter, it may only be matter of time before knock-offs appear. Ensuring a clean online ecosystem from the outset and building good relations with China’s e-commerce sites will go a long way towards tamping down on counterfeit product and protecting a brand’s global market. Of course, this problem is not just relegated to Kickstarter but is merely the latest variation on a common theme that has been affecting foreign brand owners in China for decades. This article also appeared on www.techinasia.com.